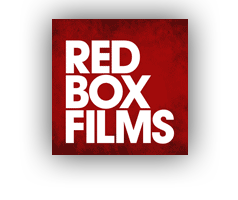 Red Box Films was founded in 2005 by Simon Chinn to produce MAN ON WIRE (taking inspiration from Philippe Petit who kept his dreams - including his plan to high wire illegally between the twin towers – in a red box under his bed). MAN ON WIRE went onto win the Academy Award for best documentary feature, among more than 30 other international awards. The company has followed up this success with a number of multi award winning films including PROJECT NIM, THE IMPOSTER and SEARCHING FOR SUGAR MAN which also won an Academy Award. A recent recipient of the British Film Institute's Vision Award, the company currently has a slate of features – both documentaries and dramas – at various stages of production and development. 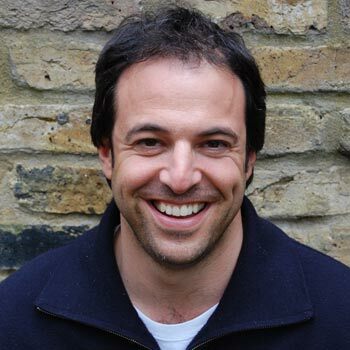 In 2013 Simon Chinn formed a new company, Lightbox, with his LA based Emmy-winning cousin Jonathan Chinn to produce high-end non-fiction programming for the small screen. One of the first companies to receive investment from Channel 4's Growth Fund, Lightbox has offices in Los Angeles and London and will be strongly aligned with Red Box Films. Simon Chinn is a double Academy Award winning producer who is responsible for some of the most successful feature documentaries of recent years, known for their high production values, powerful narratives and innovative blending of documentary and fiction techniques. He conceived and produced MAN ON WIRE which was released around the world in 2008. A commercial and critical hit, its numerous international awards include the Sundance Grand Jury Prize, the Producers Guild of America (PGA) Award, the BAFTA for Outstanding British Film and the Academy Award for Best Documentary Feature. His follow-up film, PROJECT NIM, opened the 2011 Sundance Film Festival and was released theatrically around the world to great acclaim, won the DGA Award, was nominated for a BAFTA and shortlisted for an Academy Award. SEARCHING FOR SUGAR MAN opened the Sundance Film Festival in 2012 and went on to gross over $10M at the international box office, making it one of the most commercially successful documentaries of recent years. Among more than thirty international awards, it won the PGA, DGA and WGA awards, the BAFTA and the Academy Award for Best Documentary. THE IMPOSTER, which Simon executive produced, also launched at Sundance in 2012. It became the eighth highest grossing (non-concert) documentary of all time in the UK and went on win the BAFTA for best debut for its director Bart Layton and producer Dimitri Doganis. Simon’s latest feature documentary, THE GREEN PRINCE, based on the best selling book “Son of Hamas”, opened the 2014 Sundance Film Festival where it won the Audience Award, and will be released theatrically around the world from summer 2014. Forthcoming films include Louis Theroux's first theatrical documentary - about Scientology - and BOLSHOI BABYLON, Nick Read's feature documentary which, with unprecedented access to the world's most celebrated ballet company, follows its most difficult season in the aftermath of the recent acid attack on its artistic director.